One in six engaged couples from the UK now tie the knot abroad. Should the bride and groom (or their parents) pay for the wedding or should guests expect to have to pay for their own way? It really depends on your budget but usually the bride and groom would pay for the wedding reception for all their guests (just like at home) and, according to tradition, hotel rooms for the bridesmaid(s), the groomsmen and travel expenses for any VIPs, such as grandparents who might not make it to the wedding otherwise. It’s a good idea to arrange transportation from the airport to the hotel, as well as to and from any ceremony and reception venues if they are different. Guests should expect to pay their own travel and accommodation costs, so before booking your destination wedding make sure you have a clear idea who can and can’t afford to come. 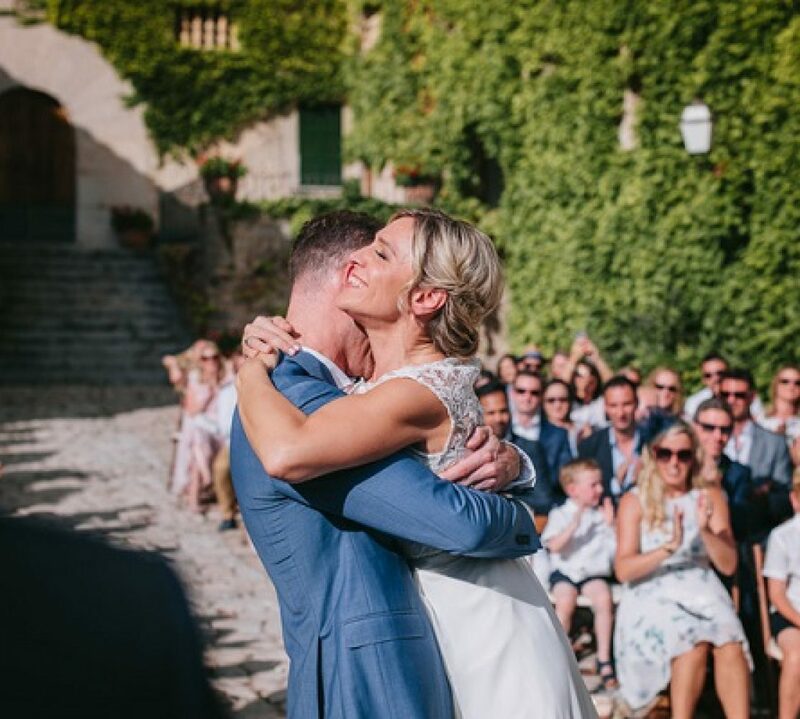 Each country has its own set of requirements for your wedding and you’ll need to check on whether a ceremony abroad will be legally recognised at home. Make sure you do your research: some countries require you to be resident in that country for a certain time period before the wedding, in others you’ll need legal documents (like passport, birth certificates and any divorce papers) translating. In Mexico you’ll even need a blood test. Never, ever check in you wedding gown. You’ll be able to take it on the plane as carry-on luggage, there are even special boxes dedicated to this or use a rigid, hand luggage-size case. Your wedding shop will pack it for you if you wish. As soon as you arrive at your destination make sure you hang the dress up to let any wrinkles fall out of it, and ask your wedding planner or hotel to steam it if needed. Many specialist holiday companies arrange an additional luggage allowance for wedding couples. If you’re marrying on a beach then stay away from gowns with heavy trains and wear flat shoes or sandals. Fabrics such as silk, chiffon and charmeuse will help keep you cool for a wedding in the sun. If you’re having a garden wedding and walking down a grassy aisle, avoid high heels which will sink into the ground making it harder for you to glide towards your groom. In colder weather locations make sure you have plenty of layers underneath to keep you warm – it’s not a good look to be shivering in your wedding photographs! You can still have a strapless gown (after all your reception venue is going to be heated) but make sure you have something to cover your shoulders, like a fur jacket or cape. Bridal coats are also stylish and practical. One of the most popular reasons for marrying abroad is to combine the wedding and honeymoon, helping the overall budget. Honeymooning in the same place that you’ve had your ceremony means you’ll often get a better rate. After travelling all that way for your special day your guests may wish to stay on for a few days as well. Before they leave throw them a farewell lunch or make sure you see them off at the airport.